The western publishing industry is slowly shutting shop as we count down the last few days to Christmas, and there won’t be much activity now until the New Year. But here at The New Publishing Standard we are celebrating the international publishing business, charting the Global New Renaissance day by day, so it will be business as usual here at TNPS, just as it will be in many parts of the world. 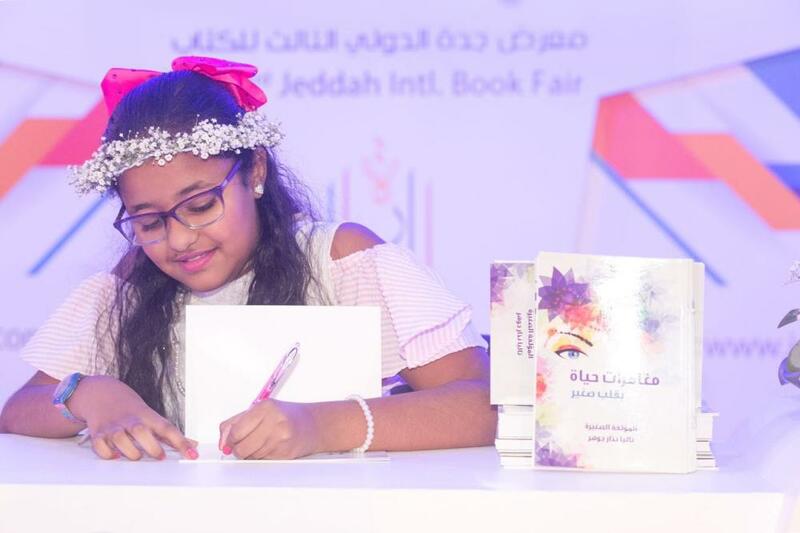 In Saudi Arabia, for example, the Jeddah International Book Fair still has a few days to run, and yesterday’s star turn was Saudi Arabia’s youngest Arabic-language published author. Talia Johar. 11, is pictured signing copies of her book above at the Jeddah Fair. As the Saudi Gazette reports today, Talia is at a school where the kids get to visit one of the country’s few public libraries, the King Fahd Library in Jeddah. and there’s every possibility OverDrive will be supporting digital libraries in the Kingdom of Saudi Arabia in the future, as the country continues to modernise and reform. and this will in turn impact on the publishing industry as more and more people in the kingdom rush to buy the books of the films. The Arabic-language market and the MENA (Middle East North Africa) market for English language books presents an exciting prospect for authors and publishers, and as Saudi Arabia reforms further and embraces the Global New Renaissance so those prospects will increase. ← Previous Previous post: As Amazon’s South America plans become clearer, will Kindle ebooks even be a feature?